The New York Post offers a piece on the arrest of the new Sicilian Cosa Nostra crime boss. 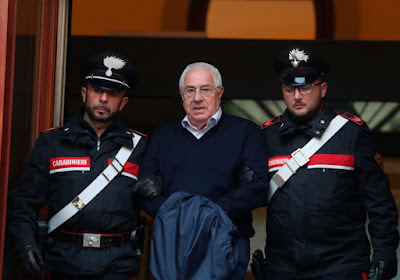 The presumed new boss of the Cosa Nostra was arrested together with 45 other top mobsters, Italian authorities said Tuesday, striking a massive blow to the resurgent Sicilian Mafia. Authorities said they dismantled the upper ranks of the mafia that in recent years made a comeback and regained some of its lost prominence that peaked in the 1990s. Interior Minister Matteo Salvini said the raid was an “extraordinary operation” in the Sicilian capital, Palermo.